Former card printer was usually used for printing text or colour images in plastic card and encofing to magnetic stripe. However, nowadays contact and contactless IC cards becomes more popular to improve security. 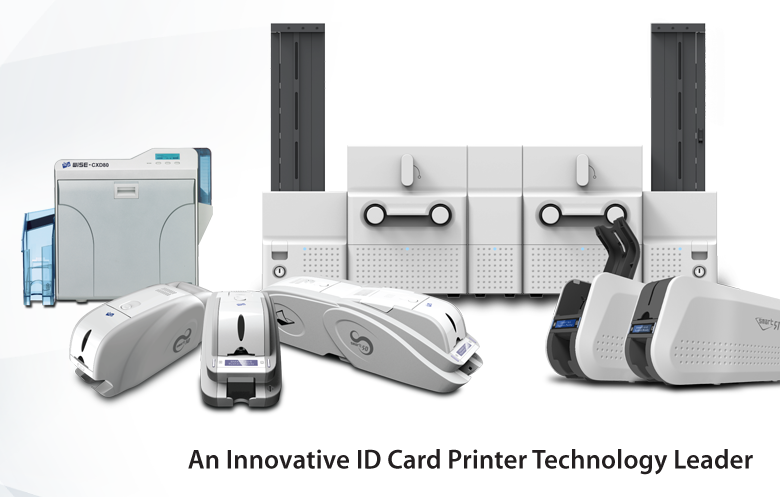 Therefore, the concept of card printer is changing from printer to multi-function equipment. Furthermore, the size of the printer is getting much smaller, similar to desktop printers and its usage has become more user-friendly. SMART is designed, manufactured and market using the latest mechanical, electronic and software technologies. With its thermal trandfer and colour sublimation technologies, our plastic card solutions prints and personaslize any student cards, leisure memberhsip cards, company badges, access control cards and customer loyalty cards. Our printer have user-friendly GUI and supply high image quality at reasonable price. SMART and SMART-Dual started development in April 2006. In July 2006, a Research and Development (R&D) Center was establish to ensure SMART was made to its optimal performance. SMART is managed by a team of dedicated and highly skilled professionals. After much R&D, SMART and SMART-Dual has been developed and distributed in 2007. SMART have been installed in various medium from private companies to government bodies to securities and banks. In 2008, SMART has globalized and expend to France, Spain, Singapore, U.K, Italy and Netherlands. SMART have been proven to provide high quality printing and convinience to the user. In 2009, SMART has expanded to Malaysia, Indonesia, and Philipines. With constant R&D, any issues faced will be delt with fast, effective and efficiently. Constant upgrades and updates will be realeased to fix any “bugs” or errors.Thus. making SMART the most sought of thermal id card printer. SMART is manufactured for Laminex-ID Systems Singapore Pte Ltd and Laminex-ID Systems Sdn Bhd. Laminex-ID is established in 1995. The company supplies various IDentification accessories to Singapore, Malaysia and export markets – and is the major manufacturer and distributor for ID accessories such as lanyards, card holders, badge clips, badge reels, slot puncher, blank / pre-printed PVC cards, smart cards etc. Laminex-ID supplies to various MNCs, SMEs and various government bodies and statues.